Awesome. It was 7.32 in the morning and my alarm just rang – marking the day of departure into a great adventure with some unexpected twists. What had started out with the rough idea of “we could do this” around 8 months earlier, had turned into a serious “research and planning phase” around 6 months ago, and finally become “today”. 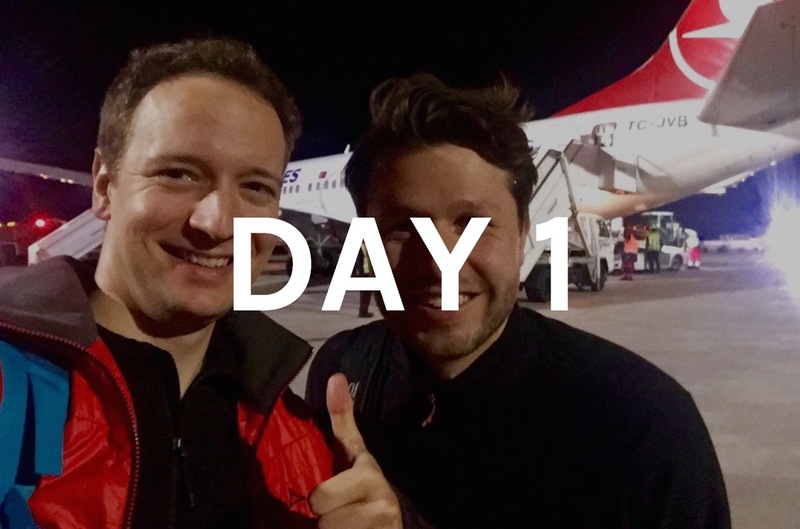 Departure day to climbing Mount Kilimanjaro! 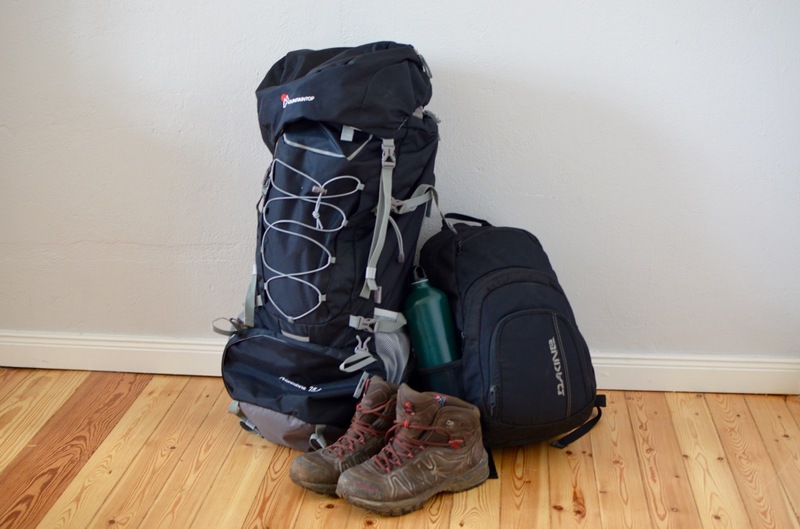 As for probably many of you, before going on a trip, I was revising my check-list multiple times that morning. Done! I ticked all the boxes – but that wasn’t all. 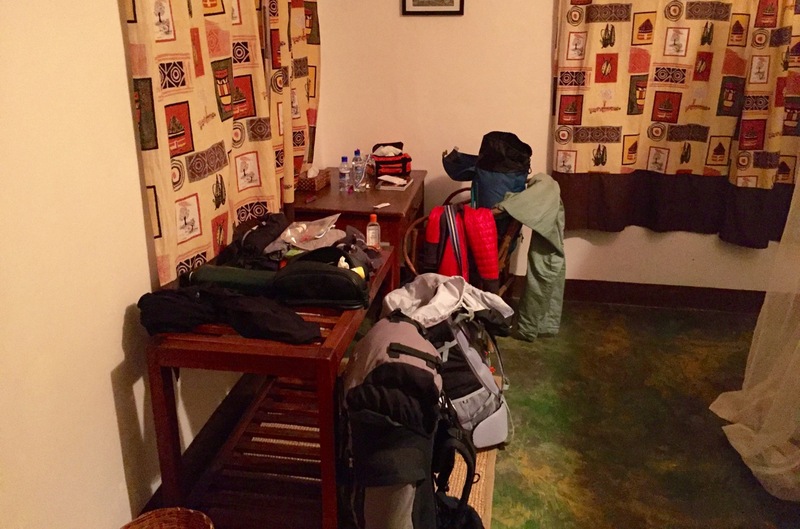 I was also re-raising the question of “What were you thinking when arranging a trip that includes accommodation with a comfort level probably lower than the one in an average 10-dollar-per-night hostel somewhere in Southeast Asia?”. 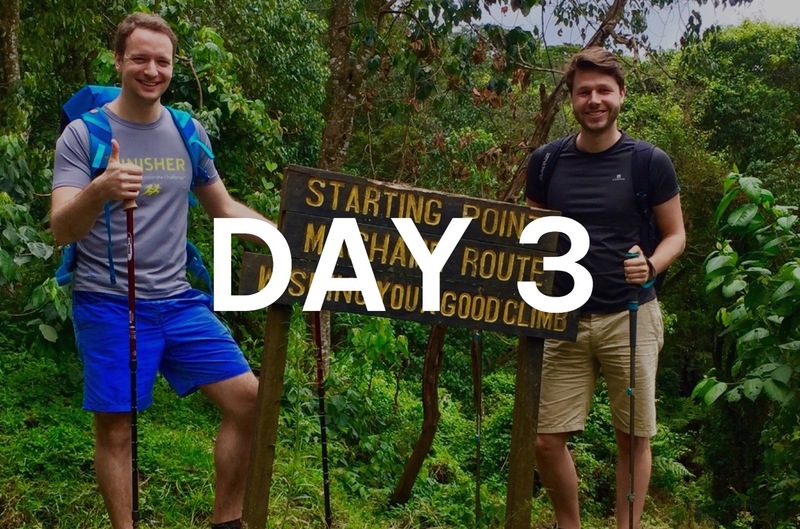 Timo and I had decided for Machame Route to climb 5,895 m (19,341 ft) high Uhuru Peak. 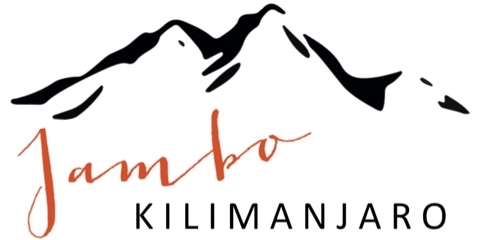 That is, the top of Kibo, the highest of Mount Kilimanjaro’s three volcanic cones. 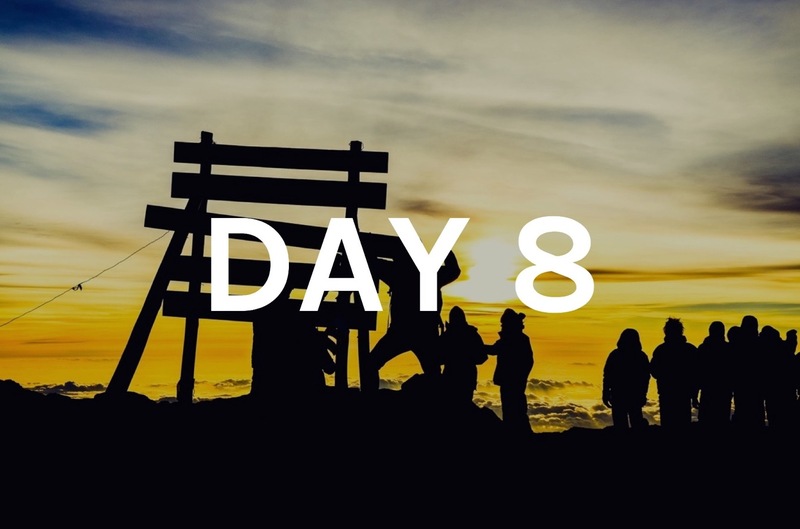 Uhuru Peak thus is Africa’s highest point, and Mount Kilimanjaro the world’s highest free-standing mountain. 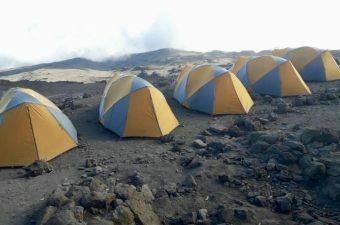 And if you opt for Machame Route, you opt for sleeping in tents for six nights in a row, with access only to basic facilities along the route. What was I thinking? 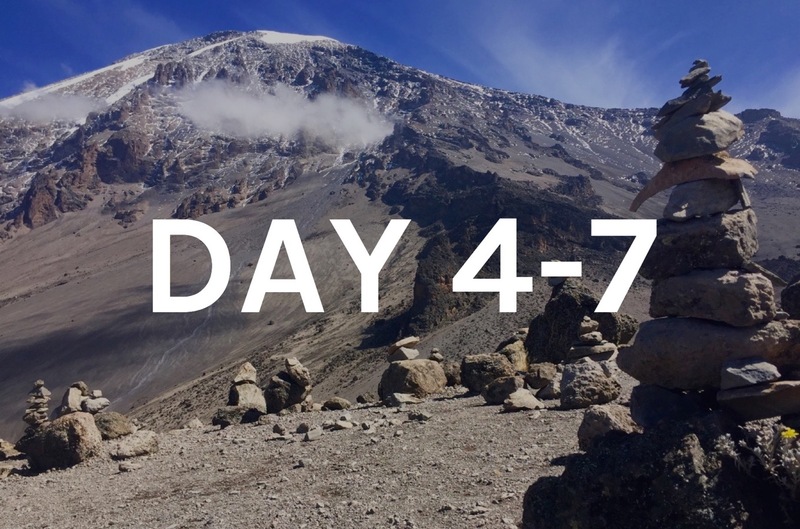 The honest answer is: I couldn’t even remember exactly what I had been thinking “back then”; back, when I decided for myself to climb to the top of Mount Kilimanjaro. Yet, I had the feeling there was much more to this adventure than possibly missing a bit of comfort for a couple of days. I was just about to find out how right I was with that assumption. It was around noon by the time I got to the international airport in Frankfurt. Timo was leaving from Berlin around the same time. 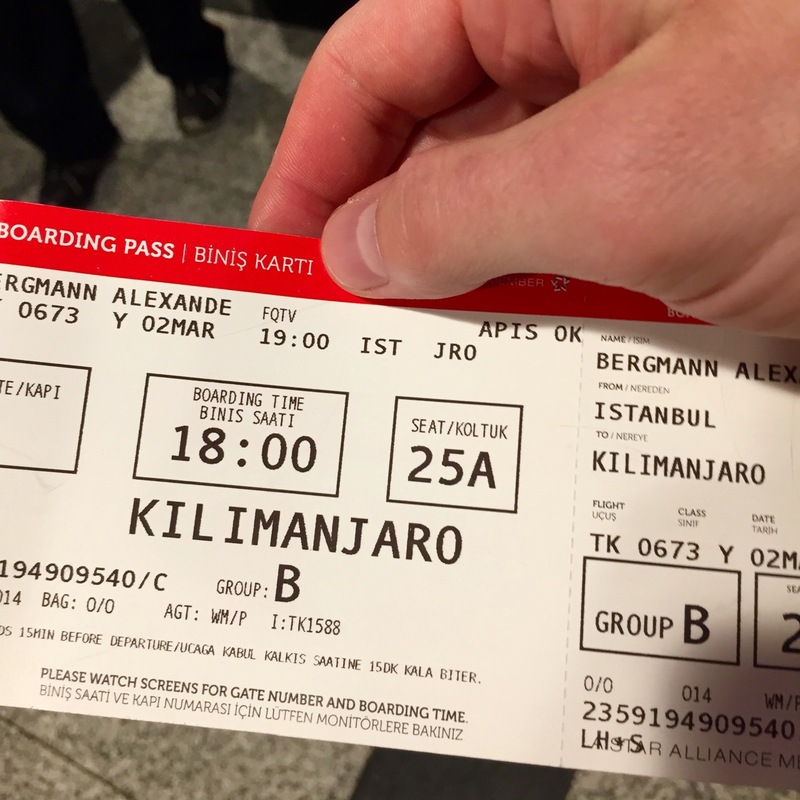 We had planned to arrive simultaneously at Kilimanjaro International Airport in Tanzania (yes, Mount Kilimanjaro is located in Tanzania, and not in Kenya, which is a common assumption many people make). 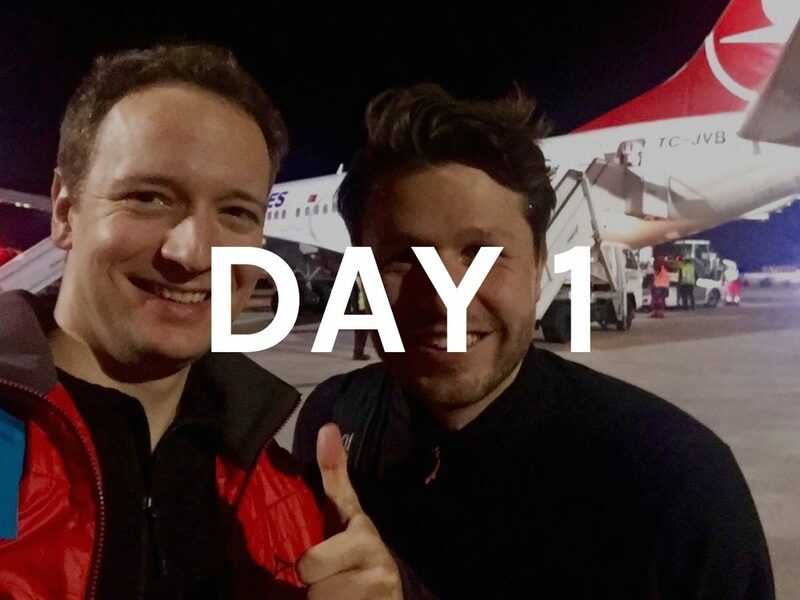 Thus, we decided to travel via Istanbul, which turned out to be a good hub to change planes. 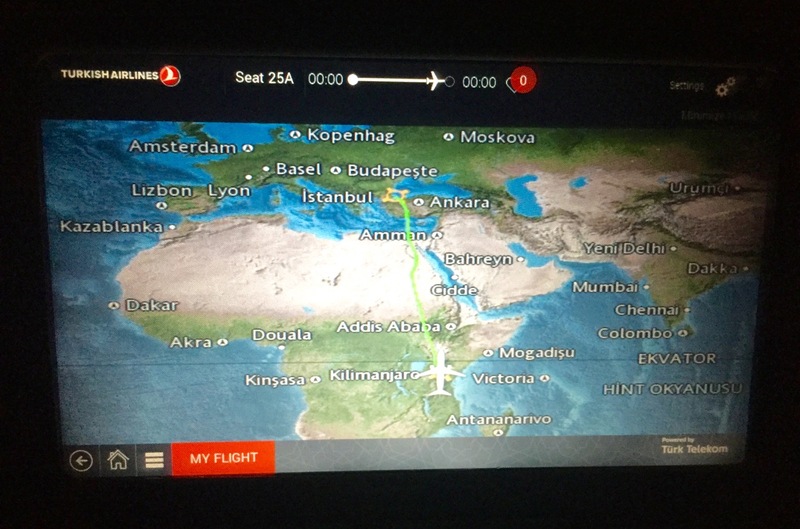 We flew all routes with Turkish Airlines. I had never traveled with them before. However, I was positively surprised about the service, standards and entertainment program they provided. Shortly after having landed we approached immigration. As there is no air con inside the airport building, we already had the chance to acclimatize to some mild 25 °C (77 °F) and moderately high humidity levels. Timo and I had chosen to get our visa on arrival. This costs 50 USD per person. The amount is the same we would have paid in the Tanzanian embassy in Berlin for a visa in advance. I would thus recommend to simply get your visa on the spot (unless your country of origin is blacklisted by Tanzanian authorities, which is highly unlikely). Best check your country’s foreign ministry webpage before departure. 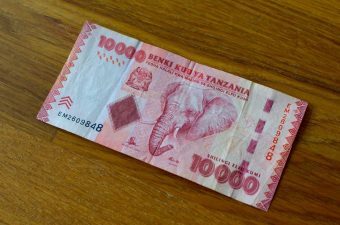 Alternatively, you can launch a simple Google request such as “Tanzania visa requirements”. Would our guide Erasto really show up at the airport? To understand why we would even raise that question let’s briefly go back to September 2016. That is, when my WhatsApp conversation with Erasto had begun. 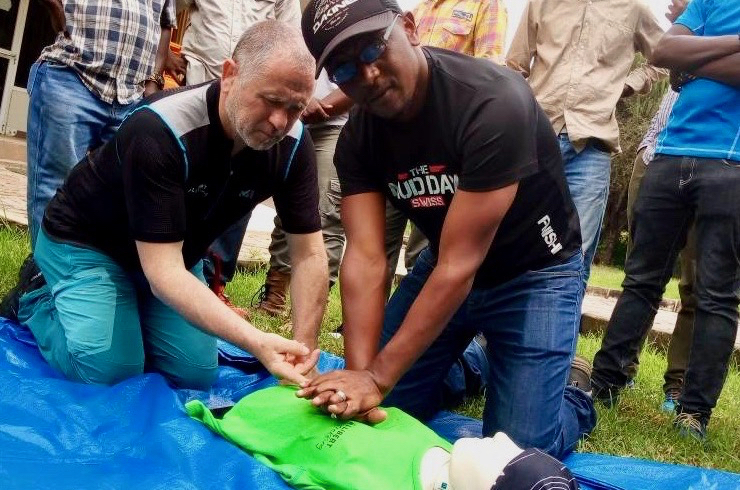 Back then, Timo and I had received Erasto’s details through a friend of ours, who had done the climb up Mount Kilimanjaro with him earlier in 2016. We don’t mind trying out unconventional traveling and unconventional travel arrangements. Thus, Timo and I had decided to arrange the trip directly with Erasto instead of going through a travel agency. 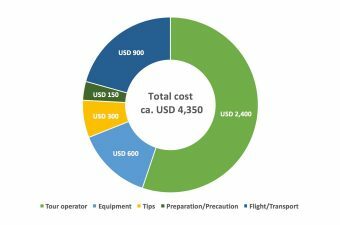 Why we decided not to book our trip through a travel agency? Because one of the most important ingredients for a great trip is a good guide. 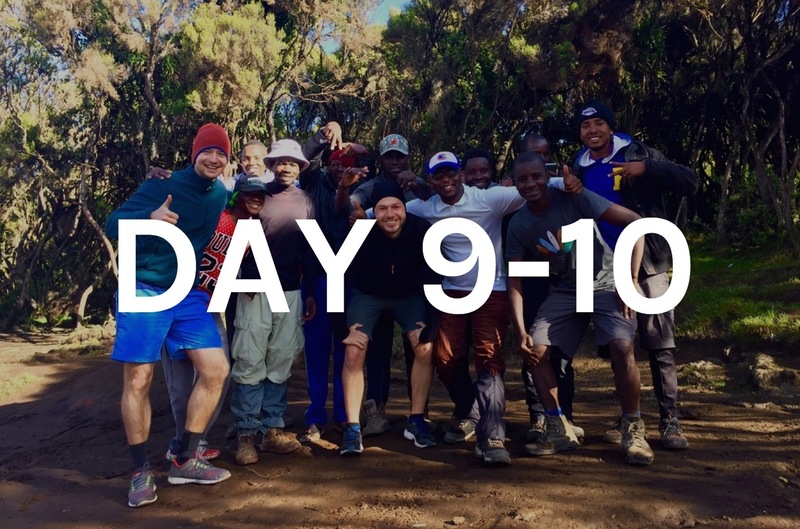 He is the one to arrange for everything on-site, and supporting you in your goal of reaching the top of Mount Kilimanjaro. And Erasto had been described to us as very competent and reliable. 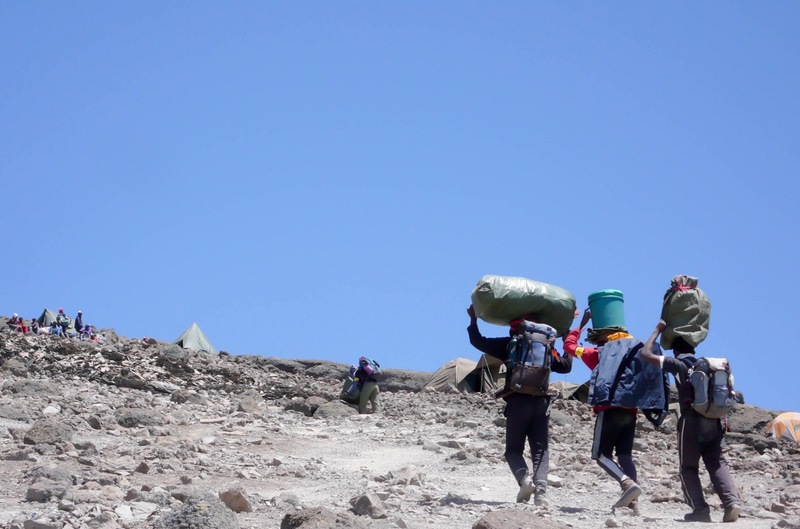 I agree, you could compromise on a couple of components on this type of trip, such as specific clothing or equipment you take for climbing Mount Kilimanjaro. However, I would never compromise on my guide. As a nice side-effect of contacting Erasto directly, we could save on the service fees, which a travel agency usually raises. 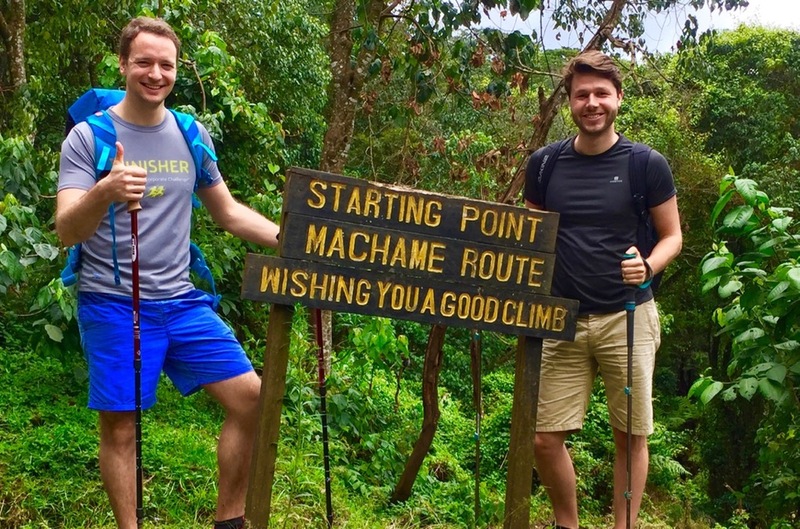 Our trip to climbing Kilimanjaro was thus cheaper compared to conventional agencies, without having planned that before or making any sacrifices. After having passed through immigration, our guide Erasto was already awaiting us with a name sign outside the airport building. Erasto was the one who arranged the entire trip for us on the spot, and he did an excellent job. 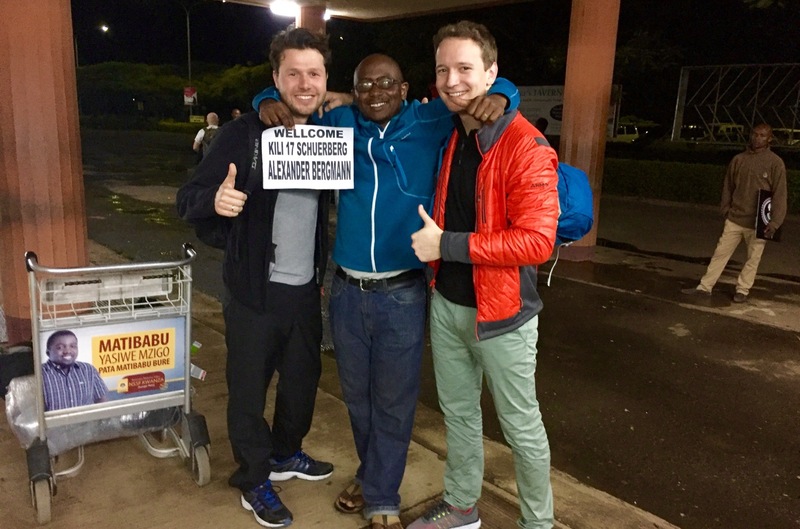 The moment we landed in Tanzania he took care of us. 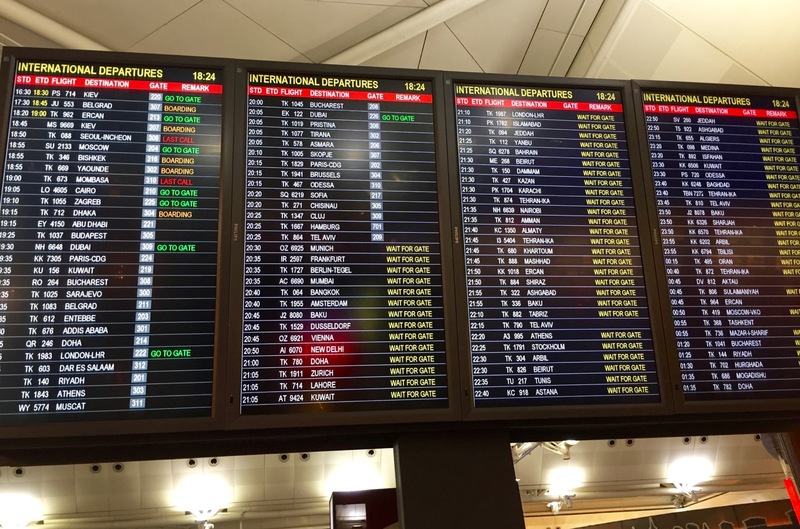 If you let a travel agency organize your trip, usually hotel staff or a travel agent would come to pick you up at the airport. In that case, your guide accompanies you solely during the hike and for final arrangements before kick-off. As Timo and I had been in direct contact with Erasto and did not involve a travel agency, we had the same point of contact for the entire trip. This proximity made a couple of things notably easier. Moreover, we got a much deeper insider’s perspective, which was great! Erasto had arranged for transport. 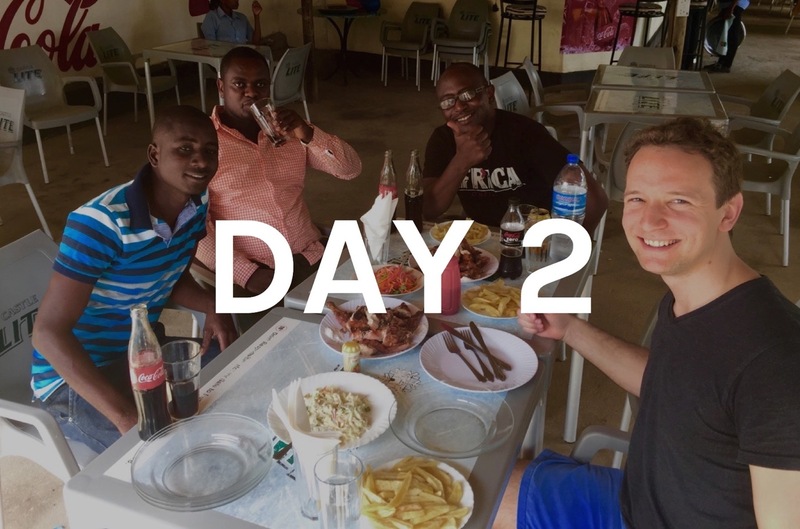 Our driver Chris drove us from the airport to our accommodation in Arusha. 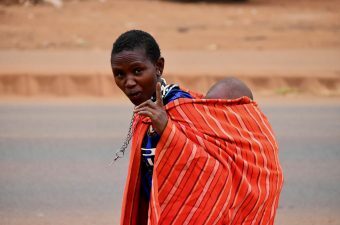 Arusha is a city of approximately 350,000 inhabitants around 45 minutes by car from the airport. 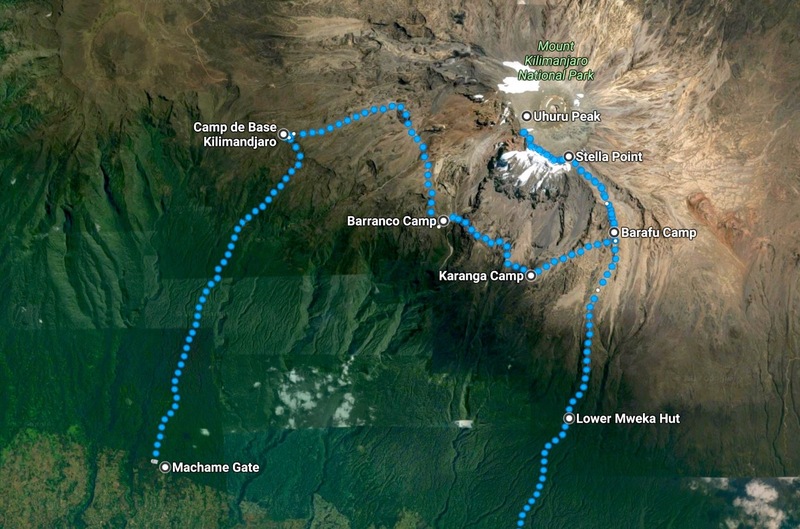 Together with Moshi, it is one of the starting hubs for hikes in the Kilimanjaro National Park. 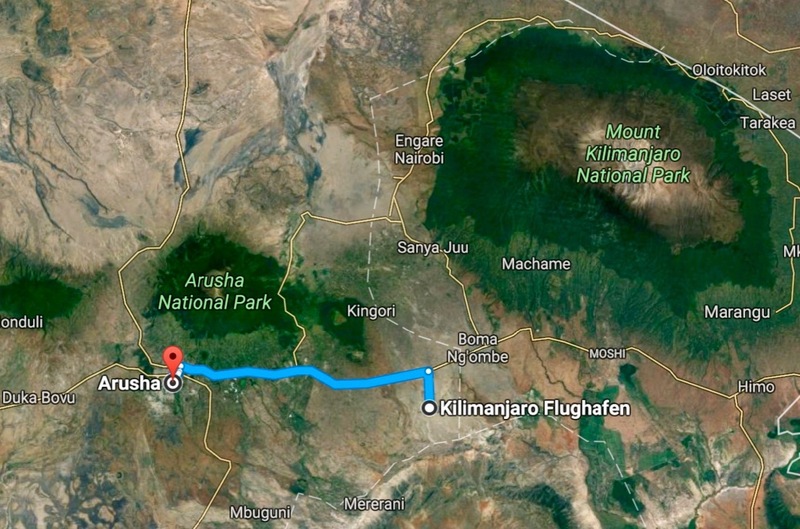 By the time we reached the outskirts of Arusha it was around 3 o’clock in the morning. Erasto had arranged for us to stay in Ambureni Coffee Lodge – a really nice place, located in the middle of banana plantations with a nice view over the country side. 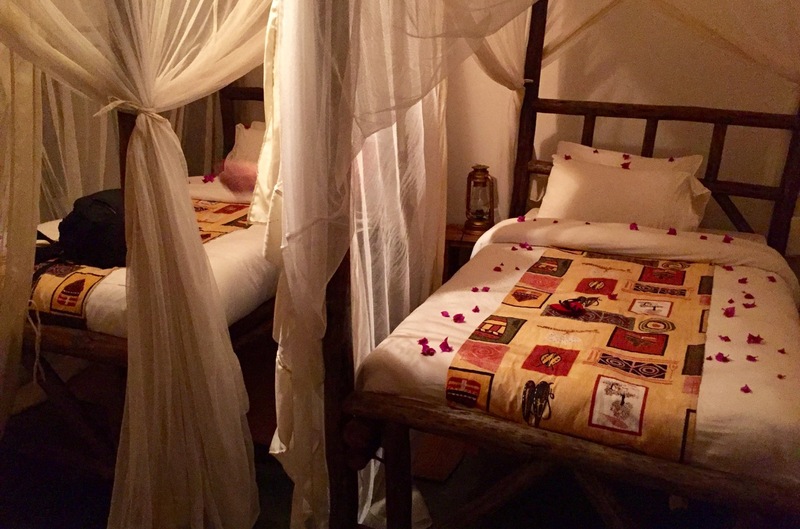 Our room was simply furnished but spacious and showed a nice style of local Tanzanian arts. Overall, Ambureni turned out to be a really nice place to stay. They provided delicious local and international meals, and the staff was welcoming and helpful. Moreover, their pool offered a good opportunity to get refreshed. After one last briefing to discuss the days ahead, we finally concluded the first day of our adventure.